Sprawling farmhouse style ranch home is breathtaking and fully renovated on Lake Peshekee. The home offers an open floor plan, 4 bedrooms, 3 full baths, 3 fireplaces, decorator finishes, hand-scraped hardwood floors throughout, barn doors, crown molding, beamed ceiling, custom built-ins, and ship lap walls. The 27~ x 9~ galley kitchen features granite counters, custom cabinetry, double ovens, stainless built-in appliances, gas cook top, wine refrigerator, bar sink and breakfast counter that wraps around to a service area in the huge open dining room. Master suite has lake view with Carrera marble double vanity & tiled shower with 3 walk in closets. The home features a 2nd bedroom with en suite bath. The 4th bedroom features a fireplace and office built-ins and can be used as a home office if desired. 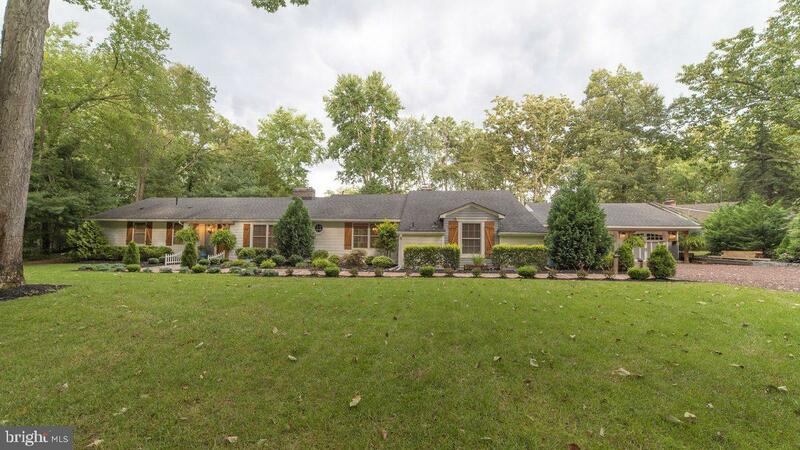 Professionally manicured property with new Anderson windows & doors, maintenance free shake siding, in-ground sprinklers, outdoor lighting, grill/kitchen bar, barnwood shutters, paved outdoor patio, fire pit, hot tub and gated yard. Oversized 2 ~ car garage, huge circular driveway with a separate guest parking area. If you don't absolutely fall in love with the outside alone then please step inside to seal the deal. 2018 property taxes $12,334.68 with Colony Club bond in place.